Possible Uses of Lamisil: Terbinafine belongs to the group of medicines called antifungals. It is used to treat fungus infections of the scalp, body, groin (jock itch), feet (athlete's foot), fingernails, and toenails. Before using Lamisil: Tell your doctor if you have ever had any unusual or allergic reaction to this medicine or any other medicines. Also tell your health care professional if you have any other types of allergies, such as to foods, dyes, preservatives, or animals. For non-prescription products, read the label or package ingredients carefully. How to take Lamisil: Take this medicine exactly as directed by your doctor. Do not take more of it, do not take it more often, and do not take it for a longer time than your doctor ordered. To do so may increase the chance of side effects. This medicine comes with a patient information leaflet. Read and follow the instructions in the leaflet carefully. Ask your doctor if you have any questions. Terbinafine tablets may be taken with food or on an empty stomach. However, it is best to take terbinafine oral granules with food. To help clear up your infection completely, it is very important that you keep using this medicine for the full time of treatment, even if your symptoms begin to clear up or you begin to feel better after a few days. Since fungal infections may be very slow to clear up, you may need to take this medicine for several weeks or months. If you stop taking this medicine too soon, your symptoms may return. This medicine works best when there is a constant amount in the blood. To help keep the amount constant, do not miss any doses. Also, it is best to take the doses at the same times every day. If you need help in planning the best time to take your medicine, check with your doctor. If you are using the oral granules, you may sprinkle the contents on a spoonful of pudding or other soft, non-acidic food such as mashed potatoes. This mixture must be swallowed immediately without chewing. Do not use applesauce or fruit-based foods. If you will need two packets of oral granules with each dose, you may sprinkle the content of both packets on one spoonful or two spoonfuls of non-acidic food. Avoid caffeine (coffee, soda, chocolate) while you are using this medicine. Terbinafine may cause caffeine to stay in your body longer than usual. Precautions When Using Lamisil: It is important that your doctor check the progress of you or your child at regular visits to make sure that this medicine is working properly. Blood tests may be needed to check for any unwanted effects. If your or your child's symptoms do not improve, or if they become worse, check with your doctor. You may need to take this medicine for several weeks or months before your infection gets better. This medicine may cause a serious type of allergic reaction called anaphylaxis. Anaphylaxis can be life-threatening and requires immediate medical attention. Stop taking this medicine and call your doctor right away if you have a skin rash, itching, hives, trouble with breathing or swallowing, or any swelling of your hands, face, or mouth while you or your child are using this medicine. This medicine may cause serious liver problems, including liver failure. Stop taking this medicine and check with your doctor right away if you start having nausea or vomiting, dark urine, light-colored stools, stomach pain, or yellow eyes or skin while you or your child are using this medicine. This medicine may cause problems with your sense of taste or smell. Stop taking this medicine and tell your doctor if you or your child have change or loss of sense of smell, change in taste or loss of taste, poor appetite, or weight loss. You may become depressed when taking this medicine. Tell your doctor right away if you or your child thinks this medicine is causing changes in your mood or behavior. Other symptoms include feeling very sad or empty, irritable, lack of appetite, loss of interest or pleasure, restlessness, trouble concentrating, or trouble sleeping. Liver problems may be more likely to occur if you drink alcoholic beverages while you are taking this medicine. You should not drink alcoholic beverages while you are taking this medicine. 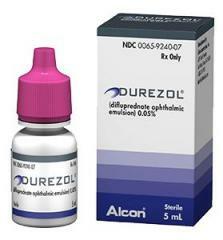 Serious skin reactions can occur with this medicine. Stop using this medicine and check with your doctor right away if you have blistering, peeling, or loosening of the skin, red skin lesions, severe acne or skin rash, sores or ulcers on the skin, or fever or chills while you or your child are using this medicine. This medicine can temporarily lower the number of white blood cells in your blood, increasing the chance of getting an infection. If you can, avoid people with infections. Check with your doctor immediately if you think you are getting an infection or if you or your child get a fever or chills, cough or hoarseness, lower back or side pain, or painful or difficult urination. Stop taking this medicine and tell your doctor right away if you or your child have a red, scaly, skin rash or unusual sensitivity of the skin to the sun that can lead to a rash. This medicine may make your skin more sensitive to sunlight. Use a sunscreen when you are outdoors. Avoid sunlamps and tanning beds. Do not take other medicines unless they have been discussed with your doctor. This includes prescription or nonprescription (over-the-counter [OTC]) medicines and herbal or vitamin supplements. Drug Interactions of Lamisil: Although certain medicines should not be used together at all, in other cases two different medicines may be used together even if an interaction might occur. In these cases, your doctor may want to change the dose, or other precautions may be necessary. When you are taking this medicine, it is especially important that your healthcare professional know if you are taking any of the medicines listed below. The following interactions have been selected on the basis of their potential significance and are not necessarily all-inclusive. Missed dose of Lamisil: If you miss a dose of this medicine, take it as soon as possible. However, if it is almost time for your next dose, skip the missed dose and go back to your regular dosing schedule. Do not double doses. If you miss a dose of terbinafine tablets, take it as soon as you can. If your next regular dose is less than 4 hours away, wait until then to use the medicine and skip the missed dose. Storage of Lamisil: Store the medicine in a closed container at room temperature, away from heat, moisture, and direct light. Keep from freezing. Keep out of the reach of children. Other Information of Lamisil: DO NOT SHARE THIS MEDICINE with others for whom it was not prescribed. DO NOT USE THIS MEDICINE for other health conditions. KEEP THIS MEDICINE out of the reach of children. IF USING THIS MEDICINE FOR AN EXTENDED PERIOD OF TIME, obtain refills before your supply runs out.